Local Hebrew Students: Listen to this before class starts. Local Intro to Hebrew Students, welcome to the January-February 2014 Workshop! Please watch, listen, and interact with this video before the first day of class. 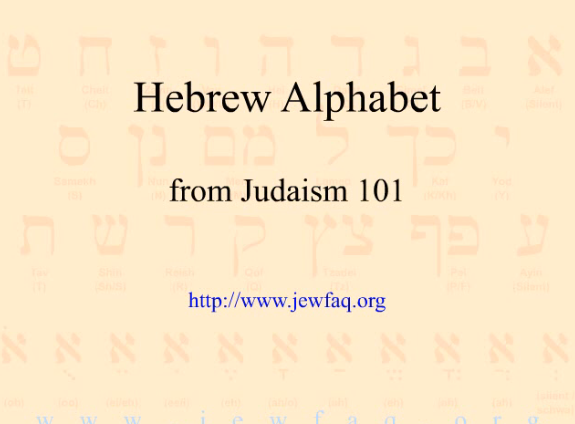 First, listen to the pronunciation of the Hebrew letters. Then, say the letters out loud. Try to imitate the speaker’s pronunciation. Hit “Pause” and “Rewind” as needed.